Today we’d like to introduce you to Alicia Nicosia. Alicia, please share your story with us. How did you get to where you are today? I finished my first Bachelor’s degree in Sociology and was planning to start the application process for law school. My heart was not in it and I felt lost and confused. I spent weeks trying to decide if it was something I was ready to invest my life in when it sparked no passion. I realized I had the opportunity to make a life change for the better. I went to aesthetics school just seven months after completing my degree and it was the best decision I’ve ever made. Shortly after, I was hired on at Contour You Med Spa and pursuing a full-on career in medical aesthetics. I genuinely love what I do and every day is an opportunity for growth, challenge, and self-improvement. Working alongside nurses and a surgeon, I have developed a passion for the science of skin. I am now enrolled in my second Bachelor’s program working towards my nursing degree to dive deeper into aesthetics and expand my knowledge to bring the best of the best to my clients. What an amazing way to spend my days! It has not been a smooth road by any means. I invested a lot of time and money into a degree that was unfulfilling because I just thought college was what I was “supposed” to do. I struggled in finding my passion, who I was as a woman, and my voice to become the professional I wanted to be. No matter who you think you are “supposed” to be or the path you think you are “supposed” to go down remember in the end it is you going to that job every day. Who cares what you are “supposed” to do, do what YOU love and what you are passionate about! Aesthetics is often seen as a superficial world and although I disagree with that immensely, I don’t really care what people say because I go to work every day and love my job, love my clients, and love my life! Find what you love, block out everything else, keep your head down and grind. You are so worth it. Please tell us about Contour You Med Spa. I am a medical Aesthetician specializing in skincare treatments. On a daily basis, I perform chemical peels, dermaplaning, fractional laser, broadband light treatment, CoolSculpting, radio frequency for skin tightening, medical facials, and more. 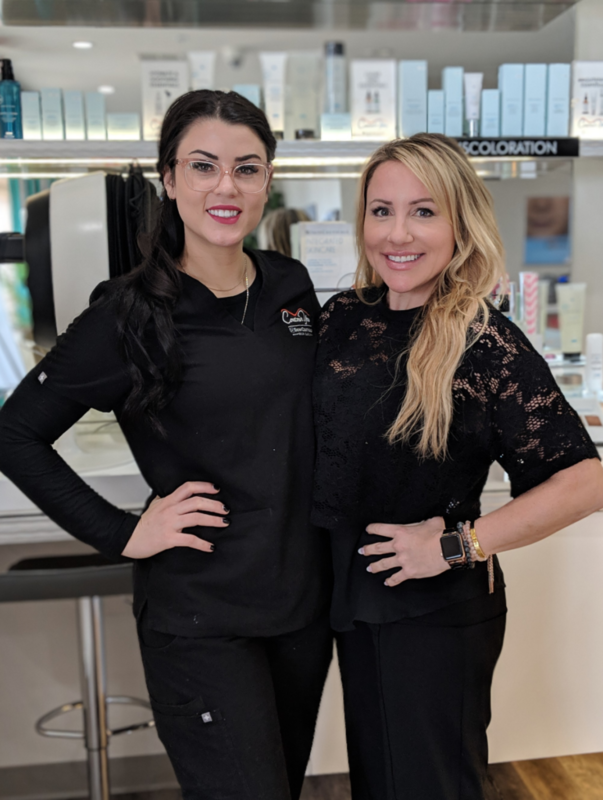 I am known for anti-aging treatments and work with SkinCeuticals as the lead Aesthetician at their fourth added flagship Skin Clinic in the nation, Contour You Med Spa. We are a privately owned spa in north Scottsdale with a small medical staff for all things health, skin, and aesthetics. I am so proud to work with a small team who is medically trained. We provide the safest care and keep every appointment personal and custom. I love spending quality time with my clients and the small, personal, and local feel of our spa is so special. I think women in 2019 and moving forward have a special opportunity to be heard. This is not something we have had much in history, it is an exciting time. I am proud to be able to stand behind a strong woman who has opinions and the strength to speak out about things that are important. Everyone deserves to be heard, and a woman’s voice is a powerful tool.